SIDNEY, Ohio — Toward the end of last summer, managers at global giant Emerson Electric Co. called an employee meeting at its air conditioning and refrigeration factory in this county seat of 21,000 people west of Dayton. They had big news: Each employee would get a $1,000 “special contribution” to a 401(k) retirement account. The reason for the generosity? The Tax Cuts and Jobs Act congressional Republicans had passed, and President Donald Trump had signed in late 2017, Emerson executives told the Sidney plant employees. Emerson’s and other companies’ payments were a publicity bonanza for the Trump administration and the then-Republican-controlled Congress. Back in 2017, as the tax bill moved on the Hill, lawmakers claimed the cut they proposed in the corporate tax rate to 21 percent from 35 percent would trickle down to workers in the form of higher wages and bonuses. Emerson’s action, and similar bonuses and wage increases, trumpeted by hundreds of companies like AT&T Corp. and Walmart Corp., provided proof the Republicans had their economic theory right. Or did they? For many of those same companies, a tiny fraction of the total number of U.S. businesses, executives haven’t yet announced another round of bonuses or wage increases with the same fanfare — even though the tax law continues to mean billions for their bottom lines. Several advocacy groups that tracked the announcements said no new proclamations have been issued. Americans for Tax Reform, a conservative anti-tax group run by Grover Norquist which boasted last year of ongoing “good news” in bonuses and benefit increases, hasn’t reported any announcement for three months. Americans for Tax Reform didn’t respond to requests for comment. Most American businesses that announced bonuses and wage increases seem to be more like Emerson, which has “no plans to make an additional 401(k) contribution this year,” a company spokeswoman said. That’s what has made the promise of higher compensation so far elusive. The Bureau of Labor Statistics reported nominal wages increased 3.2 percent in January year over year, and by less than one percent — three cents to $27.56 — month over month. While some economists have voiced enthusiasm about the improvement, other economists note that wages must grow for a sustained period to offset decades of stagnation. “The problem has not been solved,” said Seth Harris, deputy secretary of the Labor Department in the Obama administration. Bonuses have registered less of an impact, increasing just 2 cents an hour in the first nine months of 2018, according to Lawrence Mishel, former president of the Economic Policy Institute, a left-leaning research group. By all accounts, companies poured a hefty portion of the tax windfall into buying back shares, a move designed to at least temporarily boost stock prices, which benefits executives and other large stockholders. And buybacks, evidently unlike bonuses or wage increases, will certainly continue; Goldman Sachs estimates corporations spent a record $770 billion in 2018 on repurchasing stock with their increasing piles of after-tax profits and will increase that to $940 billion this year. Other chunks of the cuts went to dividends or reducing debt. Companies pay for ongoing stock buybacks primarily through after-tax profits that got a boost with the corporate tax cuts. Back at Emerson, as managers unveiled the news at the Sidney plant, longtime employee Lerouise Rupert, 32, said she was excited at first. “I’m thinking, ‘This is going to be good.’ They told us, ‘We’re going to give you a $1,000 bonus,'” Rupert said recently while sitting with her three children in a nearby Wendy’s restaurant. The contribution has had little tangible benefit for Rupert, who has a company pension but did not have a 401(k) account at the time, and for many of her co-workers. Their real need is for money immediately to pay bills, or in Rupert’s case at the time, the chance to buy presents for her children instead of signing up for a local charity gift program. “I was looking forward to this check for Christmas,” she said. Rupert’s experience provides a stark contrast to how Trump and Republican lawmakers sold the tax law. “You’re going to start seeing a lot more money in your paycheck,” Trump said a year ago at an event in Nashville, Tennessee. A couple months earlier, Trump, and then-House Speaker Rep. Paul Ryan, R-Wis., boasted the tax law would likely give typical households a $4,000 a year wage hike, with the White House reporting wages could even increase by more than $9,000 a year. Manufacturing executives were particularly vocal, arguing that the lower corporate tax rate would not only increase wages, but also allow their companies to be more competitive globally and bring back jobs. David Farr, chief executive of Emerson Electric and former chairman of the powerful National Association of Manufacturers, helped lead the tax-cut effort and pushed for a lower 15 percent corporate tax rate. Emerson, based in Ferguson, Missouri, employs approximately 87,500 people worldwide, with about 24,000 employees in North America. 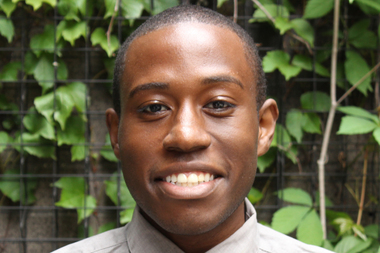 An Emerson spokeswoman said Farr was not available for an interview. Emerson’s tax rate fell to 17 percent in 2018, according to its annual filing with the Securities and Exchange Commission, and company executives estimate a rate of 24 to 25 percent this year, boosting profits. Farr told investors in an August presentation that the tax law allowed the company to increase wages and improve the company’s health plan, parental leave and paid time off. But Emerson reported it received $189 million in tax savings, of which it spent $24 million, less than 13 percent on its 401(k) bonus contributions — a payment that brought financial benefits to the company as well. Emerson also spent $1 billion — more than 40 times the amount it spent on the retirement bonuses — in its fiscal 2018 buying back its own shares. And for those on the ground, Emerson’s largesse appears limited. That’s what employees say at Ridge Tools, an Emerson subsidiary in Elyria, outside Cleveland. The company has a commanding presence in the struggling town of 54,000, with its own water tower emblazoned with the word “Ridgid,” the brand name of the power tools the company makes. Ridge Tool workers also received that $1,000 retirement contribution, and not all were disappointed. Joe Neudenbach, a longtime employee, said he had planned to withdraw the money immediately — at 61 years old he can without paying a penalty — to buy a new recliner to watch the Super Bowl. “The $1,000 was cool. I didn’t see it coming,” said Neudenbach. But shareholders have fared far better than employees under the tax law. Companies spent $929 billion on stock buybacks compared to $7.1 billion on wage increases and bonuses, according to Americans for Tax Fairness, a left-leaning nonprofit group that tracked announcements by Fortune 1000 companies. Among the first companies to come out with announcements of bonuses and pay raises because of the tax law were Walmart and AT&T. On Jan. 11, 2018, Walmart announced it was giving out $1,000 one-time bonuses to eligible employees and increasing starting hourly wage to $11 an hour. The same day, Walmart filed notices to lay off thousands of workers. A Walmart spokesman said the company has no current plans for a 2019 company-wide bonus. He said the hourly employees’ average total compensation and benefits is more than $17.50 an hour. On Dec. 20, 2017, two days before Trump signed the tax law, AT&T CEO Randall Stephenson announced the tax law would allow the company to give one-time bonuses of $1,000 to each of its workers at a cost of $200 million — about 1 percent of the estimated $20.4 billion tax windfall the company recorded in the fourth quarter of 2017. While handing out the bonuses, AT&T was in the middle of laying off thousands of workers. An AT&T spokeswoman said the company would not be handing out another bonus this year. By this time last year, a number of companies including The Walt Disney Co. and Southwest Airlines had announced they would use a portion of the tax windfall to give one-time employee bonuses. Southwest said it would use $55 million of its $1.3 billion tax windfall on bonuses. At the same time, it spent $2 billion on buybacks in 2018. Disney received a $1.7 billion benefit and paid out $125 million on employee bonuses — and $3.6 billion on share repurchases. None of the companies have announced another round of bonuses. Southwest said it had no plans to give bonuses this year and Lowe’s did not respond to requests for comment. Disney referred the Center to its January 2018 announcement. Will it work — later? To have the tax cuts translate into increased wages, the theory goes, several factors need to align. Republicans and corporations argued the tax cuts would lead to increased investment in factories and machinery. That would create more productive and valuable workers, which “would bid up the wages,” said Mark Mazur, head of the nonpartisan Tax Policy Center in Washington. But for that to happen, “every linkage has to work,” he said. Meanwhile, in Sidney, Rupert is still trying to cash out her $1,000 retirement contribution, which was the only deposit in her 401(k) account because she didn’t have one when Emerson gave out the bonuses last year. Rupert said she is willing to pay the penalty for an early withdrawal but she hasn’t gotten far with her inquiries. A frustrated Rupert said the last time she checked her account the balance was just $867, a likely victim of the stock market fluctuation. Kathryn Kranhold is a contributing reporter with the Center for Public Integrity and part of the Center’s team writing about the economic effects of the 2017 Tax Cuts and Jobs Act. Kranhold is a former staff writer for The Wall Street Journal, where she covered General Electric, utilities and anti-trust. She also reported for The Hartford Courant. 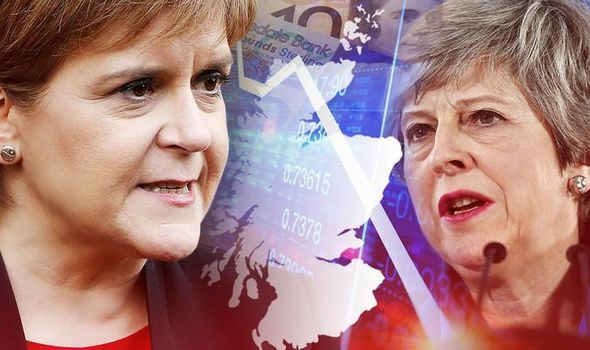 A NO-DEAL Brexit will plummet Scotland into recession until the end of 2020, economic expert have warned. Bill Weld, the former governor of Massachusetts, said on Tuesday he’s running in 2020 as a Republican because he wants a “direct shot” at President Donald Trump. Weld, who served as a Republican governor and ran as a vice presidential candidate for the Libertarian Party in 2016, said he wants to restore civility to political discourse and challenge Trump’s domestic and foreign policies. “Everyone knows the president is mean-spirited and that he calls out little people by name. … The more that’s known about the president’s business conduct and his conduct in office, the more I think people are going to come to question whether they really think it’s such a great idea being behind this commander in chief in office,” he said. Weld said he believes much of Trump’s support is steered by “party bosses” in state GOP committees, but he wants to talk directly to Republican voters about Trump’s conduct and his policies. Weld said he and Trump differ on “many, many” issues; Weld said he is an “economic conservative” who has a track record of cutting spending and taxes in Massachusetts. He said the president has demeaned America’s allies and his economic policies have not been good for the country. “I aim to call the president out on issues like spending and insulting our allies,” he said. But, Weld said he has one thing in common with the president. “We’re both big, orange men,” he said. Primary challenges sometimes precede losses for presidents whose approval ratings have dipped in the run-up to elections. Conservative pundit Pat Buchanan challenged President George H.W. Bush to the Republican nomination in 1992. Bush ultimately lost that general election to Bill Clinton. Ronald Reagan challenged President Gerald Ford in 1976. Ford lost to Jimmy Carter in the general election. Trump remains deeply popular with Republican voters, however. A recent Gallup poll shows that the president has an 89 percent job approval rating among Republican voters, and a 45 percent approval rating overall. Trump’s re-election campaign also raised more than $30 million in the first quarter of 2019, far outpacing the field of Democratic candidates heading into the 2020 race. Speaking through tears, U.S. House Majority Whip Jim Clyburn has remembered his political mentor Fritz Hollings on Tuesday as a strong leader who was capable of transformative change on the issue of race. Clyburn said at Hollings’ funeral in Charleston, South Carolina, that he was moved when Hollings asked that his own name be taken down from a courthouse, replaced by that of a judge whose dissent led to the Supreme Court’s Brown v. Board of Education ruling desegregating public schools. Hollings initially campaigned against desegregation when running for governor in the 1950s. But he evolved on the issue, later advocating for integration. As a South Carolina State University student, Clyburn said he met with the then-governor and knew that Hollings’ attitude on race was changing, although he hadn’t ever shared that thought publicly until now. Former Vice President Joe Biden credits his longtime Senate desk mate Hollings with making sure he made it to the chamber in the first place.